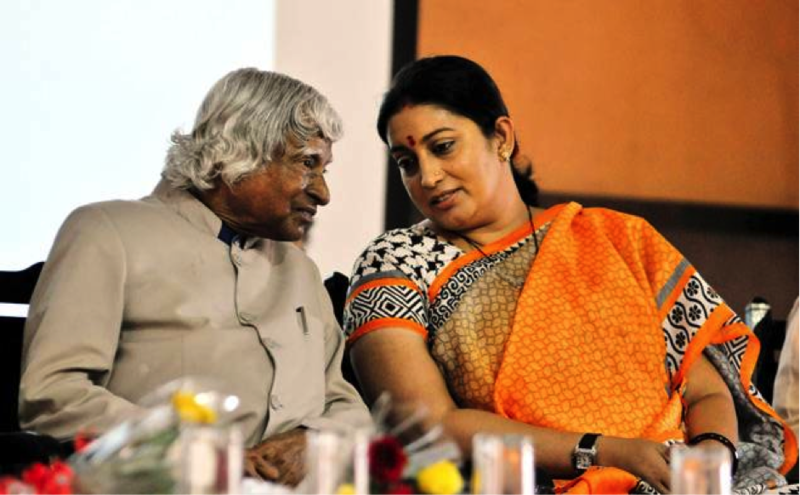 The Textile Minister has immense fan followers irrespective of the speculations she went through in the recent times. That hasn’t faded the love of fans; in fact it has doubled after the #iwearhandloom campaign, which was a huge go setter on the internet. And then we see this lady at Starbucks, awaiting her coffee; her attitude wins our affection all over again. 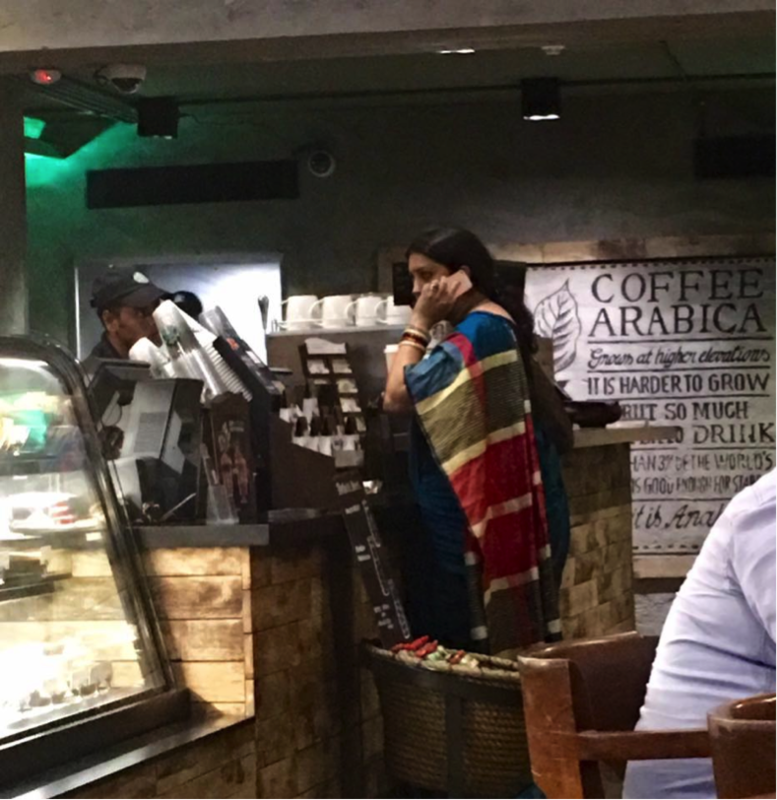 Nimish Dubey clicked this pic at Starbucks of Mrs Irani, ordering herself a coffee without any security trolling behind her. She neither fussed about the long wait nor did she act as a lofty politician who craves for public attention. Nimish Dubey posted the picture of this 40 year old Minister on Facebook and mocked at other politicians. In fact her humble attitude, poise and ‘no security’ approach took us citizens by surprise. Mr. Dubey is a Facebook user and a regular visitor of the café. 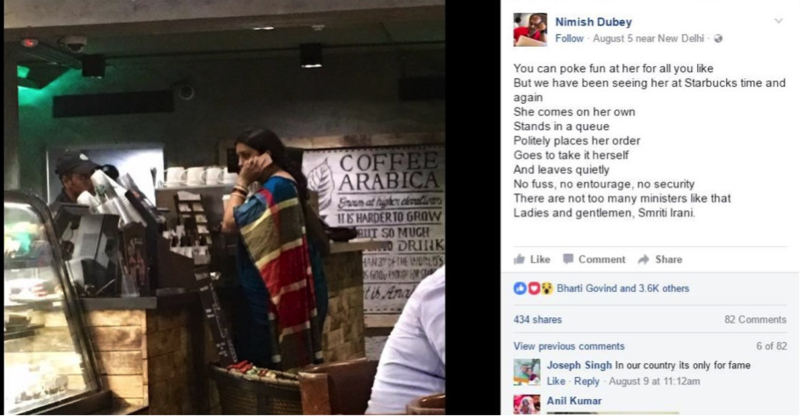 He must have come across Mrs Irani quite a number of times in the café for he commented on the post, “There are not too many ministers like that,” Mr Dubey says on Facebook. “You can poke fun at her for all you like ….